Now that daylight savings time has come, you’ve probably noticed that the days are getting shorter and the nights are getting longer. And as the fall and winter months go on, you’ll probably see that it’s dark out by the time it’s time to head home from work. During these dark times, driver visibility is more important than ever here in Chicago. That’s why it’s essential that you take care to ensure that you can see well and that others can see you on the road. Here are a few tips and tricks that are helpful for night driving and improving visibility. Most important for night driving visibility are your headlights and wipers. Your headlights are normal wear items that only require periodic inspection and replacement. You know your lights need replacing when they begin to flicker. Needing more frequent maintenance is your wipers, which should be changed at least once a year. The rubber on the wipers wears down pretty quickly, especially in winter months. It’s important that you have new wipers during the winter when windows are prone to smudging from dirty snow and road salt. Keep your headlights and taillights clean. Remove dirt, debris as well as snow and ice, which can impact the lights and others’ ability to see them. Ensure your headlights are properly aimed and don’t blind other drivers. When in doubt, turn your headlights on. If you’re not sure whether you need your lights on or not, always err on the side of safety and turn them on. 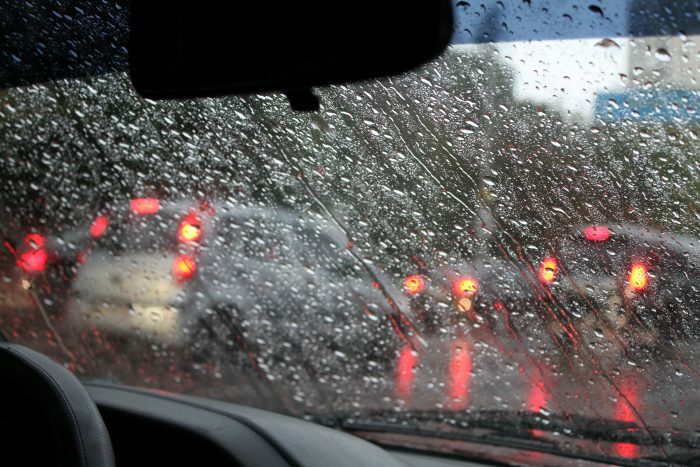 A good rule of thumb to follow is whenever your wipers are on, your headlights should also be on. During the winter, clear all snow and ice from your car’s windows, as well as on top of your car’s roof and hood. Snow left on your vehicle’s hood or roof can be sent flying while you drive, reducing your visibility and possibly that of cars around you. Have any visibility tips of your own? Let us know in the comments below! And if you have any questions, feel free to contact us here at Loeber Motors! Additional information on driver safety can also be found here on our blog. This entry was posted on Wednesday, November 8th, 2017 at 7:46 pm	and is filed under Tips & Tricks. You can follow any responses to this entry through the RSS 2.0 feed. You can skip to the end and leave a response. Pinging is currently not allowed.